Renewal invoices were mailed in December. If you didn't receive your invoice or you have any questions, please email [email protected] or call 720.457.1192. In 1908, Theodore Roosevelt said "Every man (or woman) owes a part of his time to the business or industry which he is engaged. No man (or woman) has a moral right to withhold support from an organization that is striving to improve conditions within his sphere" Profound words for his time and also true today! In fact the National PHCC organization is over 130 years old, so perhaps Teddy was speaking directly about us in this quote. Here we stand in 2017, steeped in tradition, however continuing to monitor the pulse of today's market and advocate and serve our plumbing and heating contractor members. Contractor Advocacy and government relations have always been a huge part of our focus. We started with a workforce development roundtable in Washington, where several PHCC members, corporate partners and staff testified before the Congressional Career and Technical education Caucus. Issues such as career and technical education were discussed, largely due to the projected shortage of 138,000 skilled tradesman in the construction industry by 2022. We also continue to monitor and voice concerns and lobby over any government regulations that negatively impact our members in our great state of Colorado and across the US. 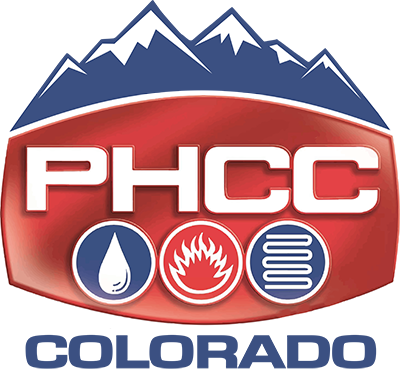 PHCC Colorado has partnered with several trade schools and the State of Colorado to bring you solid, approved apprentice training on line and with transferable credits to our educational partners. We have asked CITC and Emily Griffith to sit on our board and hear first hand what our members want and need from out education system. PHCC has many tools available to all of our members in order to be effective in communicating to your local school district. We know that educating our local schools, children, teachers and parents about the great careers in our industry. We will be seriously considering the very successful "Ride and Decide" program for high school kids that is working very successful in many other PHCC markets. Please check out the materials available for your use on the phccweb.org site under "Tools and Resources" and click on "Workforce Development Resource Center." Gain advice, support, connections and business. Be successful in a competitive market with trained technicians and business knowledge. Stay in the know on industry news, technical breakthroughs and business solutions. Tap into industry specific programs and services. Your business benefits from advocacy at the state and national levels. Save money on business expenses with preferred service providers.